May I declare at the outset that the resoluteness, militancy, resilience and victories of the CPP have been immeasurably inspired by the anti-revisionist struggle and the GPCR led by Comrade Mao. These have contributed to the strong foundation of the CPP, its invincibility and victories in the course of struggle in the last 38 years and its unwavering confidence in the resurgence of socialism and the ultimate victory of communism. In 1963 the Filipino revolutionaries began to sum up and analyze the historical experience of the Communist Party of the Philippine Islands (1930 to 1938) and the old merger party of the Communist and Socialist Parties (1938 to 1968). We sought to resume the armed revolution and to know why this had failed previously. We were guided by the Marxist-Leninist theory of state and revolution and we were certainly deeply influenced by the works of Comrade Mao on the new democratic revolution through people's war. Revolutionary storms were rapidly developing in Southeast Asia and elsewhere. At that time, the struggle between the Marxist-Leninist line and the line of modern revisionism had already broken out, mainly between the Communist Party of the Soviet Union (CPSU) and Communist Party of China (CPC. We the Filipino proletarian revolutionaries stood up for the Marxist-Leninist line, even as some of the key cadres in the old merger party insisted that the CPSU and the CPC were not in contradiction over fundamental revolutionary principles but were debating merely about methods of struggle. 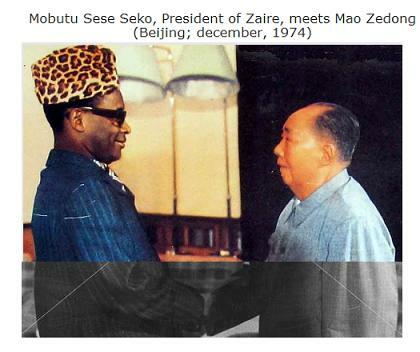 Such cadres would later become well-defined as the Lava revisionist renegades in 1967. Having failed to rebuild the old merger party since it was crushed in the years of 1950 to 1952 and practically liquidated since 1957, they had no choice for a while but to have amicable relations with the proletarian revolutionaries who were leading the newly-formed branches of the old merger party, the major mass organizations and the resurgent anti-imperialist, anti-feudal and civil libertarian mass movement. We the proletarian revolutionaries were determined to develop the mass movement in order to carry out the new democratic revolution through protracted people's war under the leadership of the working class party. We were strongly opposed to the Khruschovite revisionist line of bourgeois populism ("party of the whole people" and "state of the whole people") and bourgeois pacifism ("peaceful transition", "peaceful competition" and "peaceful co-existence"). We held the position that Khrushchov had vilified and totally negated Stalin under the pretext of rejecting the "cult of personality" in order to attack Marxism-Leninism and socialism. We became aware of Comrade Mao's criticism in April 1956 of Khrushchov's anti-Stalin speech in February 1956 and the debate on the issues in the 1957 and 1960 Moscow meetings of communist and workers' parties. We eagerly studied the wide range of issues that emerged in the open debate between the Communist Party of China (CPC) and the Communist Party of the Soviet Union in the early 1960s. We became aware of the decentralizing and confused reorganizations done in the Soviet party, state, economy and culture in order to subvert Marxism-Leninism and socialism. We saw as wrong Khrushchov's admiration for Titoite revisionism, which included rejection of land reform and central planning. We saw through the economism and opportunism in Khrushchov's promise of achieving communism in twenty years by changing the material and cultural foundation of Soviet society through bourgeois economic reforms. We were indignant over Khrushchov's policies towards other countries. He cancelled all the agreements and blueprints of economic cooperation with China in retaliation for the anti-revisionist line of the CPC in the ideological debate. 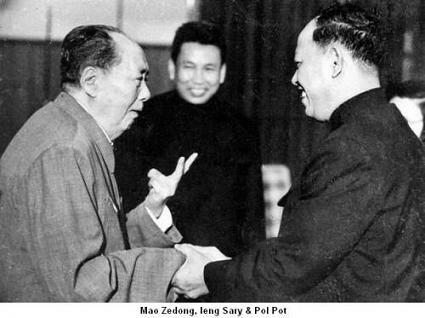 He refused to extend effective support to the preparations and efforts of the Vietnamese people to wage a war of national liberation against US imperialism and its puppets. He encouraged the revisionists in Eastern Europe to take power and change policies. 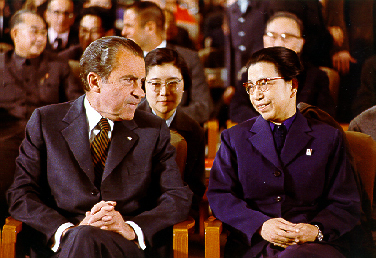 He promoted the practice of neocolonialism in relations with the countries in Eastern Europe, and Asia. 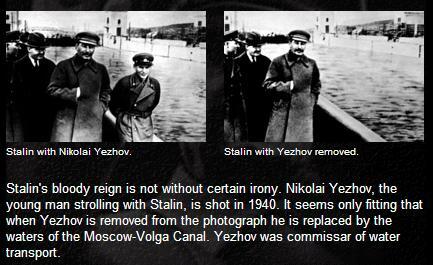 As a result of obvious bunglings, Khrushchov was deposed and replaced by Brezhnev in 1964. Some of the old cadres who had believed that the debate between the CPSU and the CPC was only about methods of struggle thought that the ascendance of Brezhnev meant a consolidation of the Marxist-Leninist ideology and the practice of socialist revolution and construction because of the renewed Soviet revolutionary phrase-mongering and the recentralization of the ministries decentralized by Khruschov. We understood what Khrushchovism without Khrushchov meant. Brezhnev widened the revisionist breaches made by Khrushchov on the ideological, political and organizational line of the Soviet party and on the socialist state, economy and culture even as he recentralized the bureaucracy for the purpose of bureaucrat monopoly capitalism and strengthened the Soviet military for the purpose of big power politics and social imperialism. What had started as the petty bourgeois social base (including degenerate sections of the bureaucracy and intelligentsia, the new kulaks and merchants) generated the big bureaucrat monopoly bourgeoisie and its retinue of criminal big bourgeois in the private sector who manipulated and stole from state enterprises and warehouses and who increased their role in domestic and foreign trade. The summing-up and analysis of the history of the old merger party matured among the proletarian revolutionaries towards the end of 1965. Earlier the Executive Committee of the old merger had assigned this speaker to draft the general report for a new congress of the old merger party. I included the evaluation of the old merger party in terms of the Marxist-Leninist ideological line, the general political line of people's democratic revolution and the organizational line of democratic centralism. The draft general report sparked a debate and a division in the old merger party between the proletarian revolutionaries or the Marxist-Leninists and the Lava revisionists. The issues involved mainly how the series of Lavaite leaders in the old merger party had caused one disaster after another, how they had been afflicted by subjectivism and opportunism, how they failed to develop the Party, the people's army and the united front as weapons of the revolution and how they neglected land reform, armed struggle and mass base building as integral components of the armed revolution. The Marxist-Leninists completely broke away from the Lava revisionist renegade in April 1967. They issued a declaration on May 1, 1967 and announced the plan to reestablish the Communist Party of the Philippine (CPP). The Lava revisionists also issued their own declaration. The Marxist-Leninists launched what is now called the First Great Rectification Movement based on the document, "Rectify Errors and Rebuild the Party. They also formulated a new Party Constitution and the Program for a People's Democratic Revolution in order to establish the Communist Party of the Philippines on December 26, 1968, under the theoretical guidance of Marxism-Leninism-MaoZedong Thought (or Maoism). The reestablishment of the CPP was benefited by the struggle of Marxist-Leninists against the Lava revisionist renegades and by the international struggle led by Comrade Mao against the modern revisionism centered in the Soviet Union. Furthermore, it was benefited by Comrade Mao's theory and practice of the continuing revolution under proletarian dictatorship, through the Great Proletarian Cultural Revolution begun in 1966, in order to combat revisionism, prevent the restoration of capitalism and consolidate socialism. 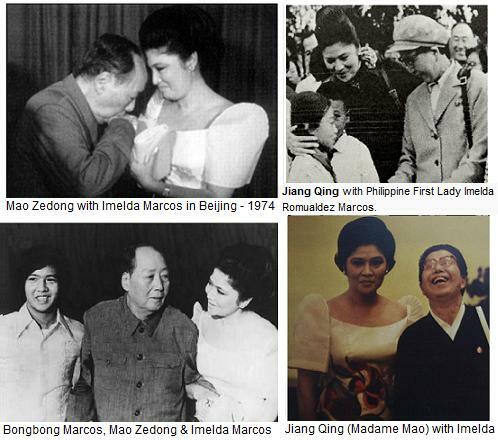 Of course, there was a big difference between reestablishing the Communist Party of the Philippines for the immediate purpose of leading the people's democratic revolution and the phenomenon of the GPCR in socialist China. But we the Marxist-Leninists in the Philippines deeply appreciated the GPCR as the process of preventing the restoration of capitalism in socialist countries and we recognized the great benefit of acquiring foresight and confidence in the historical development of socialism, up to the threshold of communism. We understood that Comrade Mao brought the theoretical and practical development of Marxism-Leninism to a new and higher level by putting forward the theory and practice of continuing revolution under proletarian dictatorship as the way to ensure the ultimate victory of communism. We had the advantage of sending delegations to China during the GPCR. We had the opportunity to observe the process and listen to the explanations. 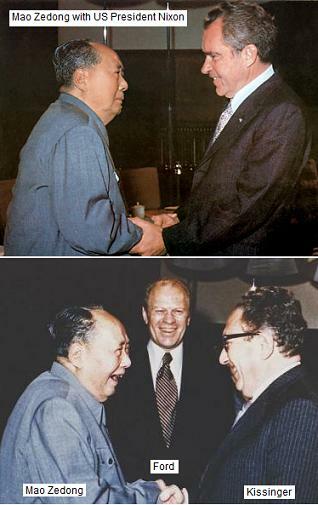 Comrade Mao had learned from the earlier experience of the Soviet Union that one could err as Stalin did to declare prematurely the end of classes and class struggle, except the struggle between imperialism and the Soviet people, just because by legal and economic definition capitalists and landlords no longer existed in the Soviet Union. After Stalin, the Soviet revisionist party consistently proclaimed that the mission of the working class had been accomplished. The Chinese revisionists also declared that the class struggle was dying out. Mao recognized the dangers and disastrous results of denying the existence of classes and class struggle in socialist society and presuming a short socialist transition from capitalism to communism. He stressed that class struggle is the key link and revolutionary politics must be in command. He pointed to the teachings of Lenin that socialism entails a whole historical epoch and that after its defeat in a country the bourgeiosie resists socialism more fiercely by ten-thousand fold, regroups and tries to recover strength in any social sphere or institution to which it can withdraw and keeps availing of the assistance and influence of the international bourgeiosie. 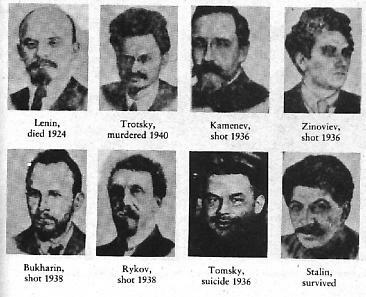 The danger of capitalist restoration comes not only from the remnants of the old bourgeoisie and landlords but from the political degeneration of revolutionary veterans as well as from the children of the workers and peasants who become well educated formally and rise up within the party, state, economy and culture but who become alienated from the working people and take on the petty bourgeois way of acting and behaving until they become full-fledged revisionists. Having been the pioneer in socialist revolution and construction, the Soviet Union enjoyed great prestige and influence in China after the victory of the Chinese revolution. Quite a number of Chinese revolutionary leaders worshipped the Soviet model, even when this had become outdated, was inapplicable to Chinese conditions or was characterized by revisionism. Then after the 1949 victory of the Chinese revolution, many Chinese students and workers went to the Soviet Union for education and training, exactly when revisionism was gaining ground and upon their return acquired key positions in the bureaucracy and the Party. The theory and practice of continuing revolution under proletarian dictatorship was impelled by the need to counter the phenomenon of Chinese revisionism that arose not only from Chinese conditions but also took inspiration from Soviet revisionism. 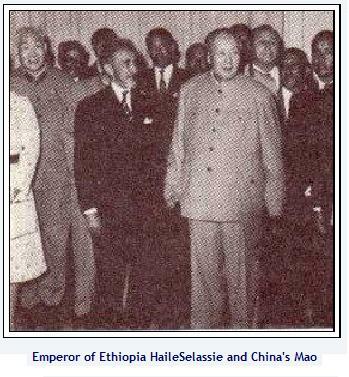 Mao had to contend with the Chinese revisionists who used the CPC Eighth Party Congress to undercut the socialist line and who opposed and tried to derail the Great Leap Forward and then the Socialist Education Movement. Mao put forward the theory and practice of continuing the revolution under proletarian dictatorship in order to revolutionize both the social base and the superstructure of Chinese socialism and ensure the leading position of the working class and its Party, to undertake the cultural revolution as the most extensive form of democracy ever experienced by humankind, to unite the entire Party, proletariat and people against the Party persons in authority taking the capitalist road, to provide the youth with revolutionary experience and train them as revolutionary successors, to continue resolving the contradictions between mental and physical work, between workers and peasants and between town and country, to unite the cadres, the masses and experts in factories, to build the rural industries and expand the scale of the communes, to develop intimate links with the masses and to build the revolutionary people's committees on a new basis. Without the GPCR, the socialist line of Mao would have been reversed earlier by the Chinese revisionists. But in carrying out the GPCR, Comrade Mao, the Marxist-Leninists and the entire Chinese people won resounding victories against the revisionists in the ten-year course of the GPCR from 1966 to 1976. 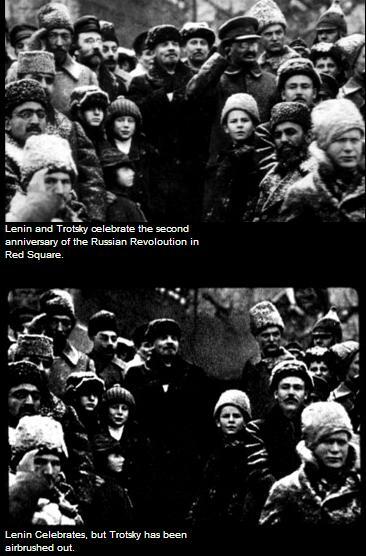 The class struggle between the two sides continued to intensify and was not resolved completely. The revisionists were able to maneuver and fight, to make trouble and make a comeback. This explains why soon after the death of Mao the Marxist-Leninists lost power and the revisionists came to power through the combination of the Rightists and Centrists..
Certain errors and shortcomings in the course of the GPCR, enabled the revisionists to gain advantage and maneuver. Factional groupings and factional fighting arose and were at times confusing to the masses. In the course of the mass movement, due process was not rigorously respected and some people suffered persecution. At certain crucial junctures, the Left did not win over the Middle in order to isolate and defeat the Right. Thus, the Right could take advantage of ultra-Left attacks on the Middle. The centrists hardened and succeeded in intrigue at the expense of the Left and the Left split a number of times. With the help of the centrists, the Rightists gained ground and were restored to high offices as early as 1971. 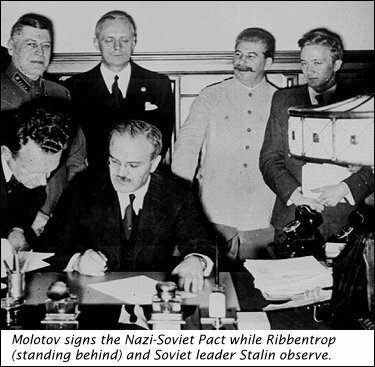 In the Soviet experience, after the death of Stalin, the revisionists came to power after a series of splits among the successors loyal to Stalin from 1954 to 1956. For a long while, from 1956 to 1989, the revisionists pretended to improve on socialism by adopting capitalist reforms. It would only be in 1991 that they openly discarded the flag of the Communist Party, attack the name of Lenin and the entire legacy of Lenin and Stalin, legalize the accumulated capital in the hands of a few and accelerate the full-blown restoration of capitalism. Since then, Russia and other republics of the former Soviet have undergone unprecedented economic, social, political and cultural degradation. So have the former satellites of the Soviet Union in Eastern Europe. Up to the present, the Communist Party of China remains in power but since the 1976 coup it has completely departed from the revolutionary road under the leadership of Comrade Mao. It has flagrantly adopted and promoted capitalism since the unbridled re-commodification of Chinese labor power, the dismantling of the commune system and the opening to foreign direct investments. Chinese state-owned industries have been dismantled in a big way in favor of private enterprises. The ownership of land is still formally public but in fact the land is made available on a widescale for capitalist profit. The Chinese economy is extremely lopsided. The foreign-owned sweatshops proliferate in the eastern coast and private construction projects go on in the cities. But the underdevelopment and poverty of most parts of China have deepened and aggravated. Unemployment is rampant. Chinese in huge numbers have been laid off from the dissolved state-owed enterprises. Hundreds of millions of Chinese are migrant workers with extremely low wages and without rights. The peasant masses live under conditions similar to or worse than those before the victory of the revolution in 1949. China may be described as a neocolonial adjunct of the economically far superior imperialist countries if one observes the increasing compradorization and refeudalization of the Chinese economy. At the same time, there are those who describe China as an emerging imperialist country in certain respects and in certain degrees. Chinese monopoly capital, bureaucratic and private, even if increasingly foreign-controlled and big comprador in character, has a dominant position in the Chinese economy. Bank capital is merged with industrial capital to make finance capital to some extent, even as the banking system is overburdened with huge foreign loans as well as with bad industrial and commercial loans and is in the process of increasingly coming under the control of foreign banks through WTO-instituted "reforms". China's export of surplus capital is still limited in comparison to the foreign investments of the US, Europe and Japan and is certainly too small in comparison to the huge export of goods (mostly with non-Chinese brands) from its sweatshops mainly by China-based foreign monopolies. China participates in alliances with other foreign monopolies through cartels, syndicates and the like but is a mere adjunct of the far more developed imperialist powers. It is not yet a major contender for economic territory (sources of raw materials, markets and fields of investment) and for political territory (colonies, semi-colonies and dependent countries). The full restoration of capitalism in the former socialist countries and the rapid degradation of their economic, social, political and cultural conditions have vindicated the correctness of the anti-revisionist struggle since 1956 and the theory and practice of continuing revolution under proletarian dictatorship through the GPCR. But in the aftermath of the social turmoil in China, the disintegration of revisionist regimes in Eastern Europe and the collapse of the Soviet Union, the imperialists headed by the United States have trumpeted that socialism is completely and permanently finished and by implication that communists can never recover and learn from the revisionist betrayal of socialism. The imperialists have unleashed all kinds of ideological, political, economic, social and cultural offensives against the proletariat and the people. They have asserted that private greed is the engine of progress and that social justice is a sure prescription for poverty. They have trumpeted that the cause of socialism is hopeless and futile and that humankind cannot go any farther than the end of history, which is supposed to be capitalism and liberal democracy. They have unleashed "neoliberal globalization" in utter rejection of any social pretense of the bourgeois state and even of state intervention as an anti-crisis device. In so short a time, however, the US economy, which is most favored by "neoliberal globalization", has plunged into one round of unprecedented crisis after another. Bush has had to add military Keynesianism to neoliberal globalization. But the problem with stepping up military production is that it cannot really stimulate the economy because of its limited employment potential. Furthermore, the wars of aggression in Irag and Afghanistan have not resulted in stable conditions of superprofit-taking on the coveted oil resources. The people of Iraq are fighting fiercely against US aggression and occupation. The crisis of the world capitalist system is becoming worse and worse. The economic and financial crisis has led to political crisis and to widespread state terrorism and wars of aggression. These are conditions that compel and impel the proletariat and the people to wage all forms of revolutionary struggle. After all, we are still in the global era of the modern imperialism and proletarian revolution. As of now, anti-imperialist movements for national liberation, democracy and socialism are resurgent. The proletarian revolutionary parties leading the mass movement are confident that they have the scientific guidance not only for realizing the immediate revolutionary objective but also for the long term objective of building socialism until communism. Our source of confidence is Mao's theory and practice of continuing revolution under proletarian dictatorship. To win the national democratic revolution of a new type as in the Philippines, the Filipino Marxist-Leninists have more than adequate scientific guidance from Marx, Engels, Lenin, Stalin and Mao. They can also sum up, analyze and learn lessons from their rich experience of nearly 40 years of continuous people's war. In moving forward to socialism in the future, they can build on their own achievements and can avail themselves of the positive lessons from decades of successful socialist revolution and construction, the anti-revisionist struggle and the GPCR as well as the negative lessons from decades of the betrayal of socialism by the revisionists. In the whole historical epoch of socialism, they can develop their subjective strength and use to their advantage the cumulatively favorable conditions for revolution. Right now and in the future, we can cite the worsening crisis of the world capitalist system as a source of our revolutionary optimism and confidence. This crisis is resulting in worse conditions of oppression and exploitation and in chauvinism, racism, religious bigotry, fascism and wars of aggression. These in turn generate the revolutionary resistance of the people. We can still cite the achievements of socialist revolution and construction in the past as an important source of knowledge for building socialism. We can cite further the GPCR as providing us with the basic principles and methods for developing socialism and defeating revisionism until the entire humankind can reach the goal of communism upon the worldwide defeat of imperialism.